Link Global are perfectly placed to handle your Sweden contractor accounting. Structure your work arrangements with confidence using our internationally renowned accounting solutions. From early planning advice to emergency payroll for imminent work, and every step in between, Link Global provides expert contractor accounting solutions for Sweden and worldwide. Citizens of EU/EEA-member countries and Switzerland are treated in accordance with EU rules. Sweden also has an agreement with Denmark, Finland, Iceland and Norway that allows permanent residents of these countries to live and work in Sweden without residence or work permits. 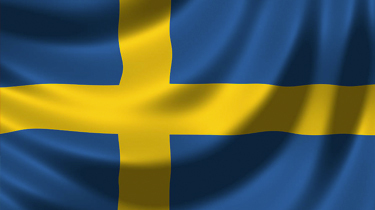 Foreign nationals from other countries who wish to work in Sweden must obtain work permits before entering Sweden. An application for a work permit must be accompanied by an offer of employment issued by the Swedish employer or "end user" in Sweden. In situations in which the foreign (non-EU/EEA or Swiss) national is a new hire (by the formal employer), the position must be posted on the EU job exchange (EURES) network before a job offer is issued to the foreign national. Link Global Management deducts tax and social security at source on a PAYE basis, and payments are made to the relevant authorities. You can reduce this taxable amount by offsetting some business expenses. Sweden has one of the most highly developed welfare systems in the world. All employers in Sweden pay the Social Security contributions consisting of charges for pensions, health insurance and other social benefits. These contributions amount to 31.42% of the gross salary. Employees pay 7% of their income to pension contributions, up to a maximum of SEK 29,400 a year. However, this contribution is neutralised by a corresponding income tax reduction for the employee. Social security is not payable by the employee. Although the employee pays a minor portion of social security (pension insurance contribution) through the tax return, this amount is fully creditable against the tax paid. Certain expatriates may apply to qualify for an exemption of certain remuneration from Swedish social security contributions.